Vanessa is a lifetime believer in real estate as an investment. She and her husband, Jake, bought their first home when she was still in her teens. She has been acquiring and managing rental property for over 35 years. Vanessa graduated from Lebanon Valley College with a degree in English literature in 2005. 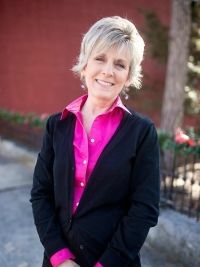 She then combined her love of research and writing, with her knowledge of real estate, and expanded into the Real Estate Appraisal profession in 2006. In 2009, she launched her own company, Appraisals of Lebanon Valley. After decades of behind-the-scenes work, helping others get started in home ownership, property management, and investment, she now brings her enthusiasm for, and knowledge of, the industry into the open market. Because real estate has become significantly more complex over the decades, Vanessa would like to assist you in the process, and expand your knowledge and confidence in this vital aspect of your overall personal life and portfolio. She offers her experience in pricing, inspections, working with contractors and lenders, negotiating, staging, and navigating the bidding process. Vanessa loves travel and more travel, art, diverse cultures, laughter, literature, white sand beaches, turquoise water, flowers of every sort, and kids of all ages, including her husband, Jake, and her son, TJ.